The Istanbul Design Biennial will organise a series of workshops between 22 and 27 March in order to bring institutions, designers, and industrial representatives together with students in order to feature design training and enable mutual learning and interaction. The workshop program within the framework of the biennial theme “Imperfection” will provide an opportunity to participants by introducing professionals in local and international creative industries and different brands to university students and co-experience the thinking and producing processes. 200 university students will have the opportunity to work with approximately 30 international designers in 11 different workshops in different venues for five days. Clay designer Max Lamb with the Designer of the Future Award, chef Marc Brettilot, an important name for culinary design, Luis Urculo a well known figure in the architectural world , Anon Pairot who became well-known through his product designs for brands like Hermes and Fendi, and Amina Agueznay who designs jewellery with natural and daily materials are among the 30 designers who will come to Istanbul in order to participate to workshops within the Istanbul Design Biennial. The Istanbul Design Biennial will be held with the support of Coca-Cola, Matraş, Nef and Roman Ready-to-wear as well as the co-sponsors Koray Group of Companies, Vestel and VitrA. Works, ideas, products and the process itself, will be exhibited in venues/places where works during the Istanbul Design Biennial. The information with regard to venues of workshop exhibitions and events will be in the Istanbul Design Biennial programme booklet and map. The Workshops will be carried out under the leadership of successful institutions and teams such as Domaine de Boisbuchet, Made in Şişhane&Design Quartier Ehrenfeld (More Than Design), SALON/Amsterdam-Istanbul, Design and Innovation Initiative for Sustainable Life and TAG Platform. The workshops will be carried out at venues determined together with the partner company with the participation of 20 university student. After the Workshops which will begin on Thursday, 22 March and continue for five days, there will be a general presentation, which will bring all contributors together, at Beyoğlu Youth Centre on Tuesday, 27 March. Presentation will be free of charge and open to general public and workshop leaders will sum their works and present selected examples. General presentation with the participation of the designers will be preview for the workshop exhibitions in the Istanbul Design Biennial. The Istanbul Design Biennial Workshops will be open to all undergraduate and graduate students in urban design, urban and regional planning, environmental design, architecture, interior architecture, landscape architecture, industrial design, graphic design, fashion design, fine arts, and new media design departments of relevant universities and will be free of charge. Students suggested by the related departments of the universities and students who applied to the Istanbul Design Biennial Office will be placed on space-available basis and in accordance with the order of precedence. Students who want to participate to the workshops should send an e-mail toist.designbiennial@iksv.org including a student certificate and the workshop that they want to participate. Programme and venues are subject to change. “More Than Design” workshop will be organised by the partnership of Made in Şişhane and Design Quartier Ehrenfeld (DQE) which enables the development of Ehrenfeld district in Köln, Germany through creative methods. 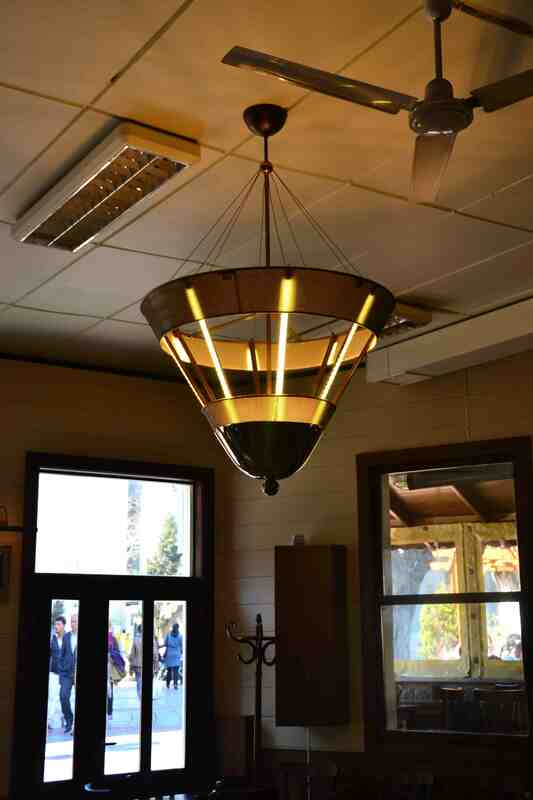 The workshop aims the development manufacturers with a history of 100 years in lighting manufacture/sale and their production network in Şişhane, Istanbul. The workshop will be carried out by German designers, Felix Stark, Joerg Mennickheim, Katharina Pawlik, Pierre Kracht and Ulrich Exner. The university students from Siegen and FH Mediadesign Düsseldorf as well as the university students from interior architecture, industrial design, architecture, visual communications, graphic design, cinema, and media departments of Turkish universities can participate to the workshop which aims to bring out the potential of lighting manufacturers in Şişhane district. 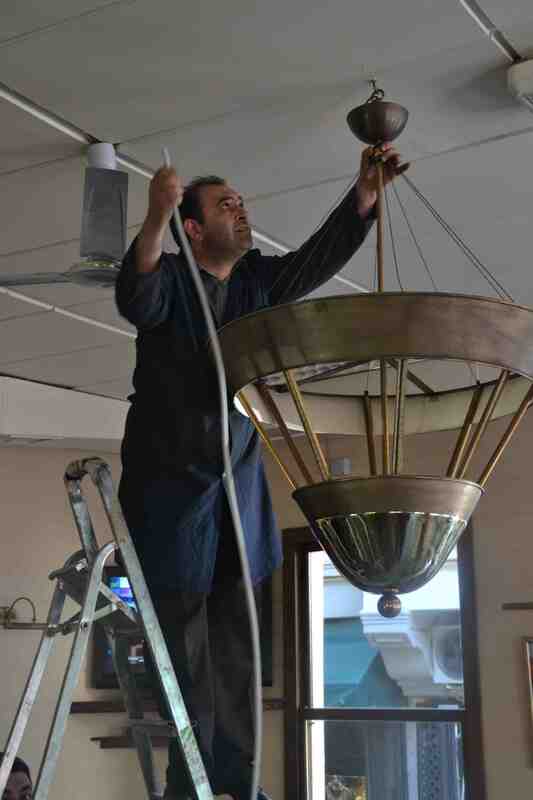 During the five days of the workshop, participants will pair with German designers; and visit the lighting ateliers in Şişhane. They will follow and record the manufacturing processes of their own designs for the 6 selected public/private venues in the same district. The products designed and manufactured specifically for the selected elementary schools, cafes, cultural institutions, passages and hotels in the district will be exhibited in the same venues with a movie describing the process, a booklet and posters during the Biennial. The same exhibition will be presented in January 2013 in Köln, Germany. Domaine de Boisbuchet established by Alexander von Vegesack, Advisory Board Member of the Istanbul Design Biennial, organises international workshops on architecture and design. Five different workshops executed by five expert designers are planned with the cooperation of Domaine de Boisbuchet within the Istanbul Design Biennial. This workshop will be carried out by Max Lamb, who was awarded with the Designer of the Future Award by Design Miami/Basel, global design forum, in 2008, in Mimar Sinan Fine Arts University, Department of Ceramics and Glass Design, Ceramics Atelier. This workshop will be carried out under the sponsorship of VitrA. Within the workshop, carried out by Luis Urculo known closely by the architectural sector, it is planned that the relationship between architecture, design and graphic design will be questioned and works pushing the limits of these fields will be created. Nef undertakes the sponsorship of this workshop. Culinary Design Workshop will be carried out by Marc Brettilot, founder and executive of culinary classes in “ESAD Art and Design School of Reims.” In this workshop, different and experimental works will be done with the regard to culinary design and the relationship of cooking and presenting processes with design will be questioned. This workshop will be carried out by Moroccan designer and architect Amina Agueznay who designs jewelleries by using her background in architecture. The designer, who designs her works with completely natural and daily materials, will present methods which will demolish routine perceptions on jewelleries and a different aesthetic. Thai product and furniture designer Anon Pairot will be tutoring this workshop where a special collection will be prepared by using various leather materials and emphasizing the use of handcraft in design processes. Workshop will be carried out under the sponsorship of Matraş. The workshop will be carried out by Özlem Yalım Özkaraoğlu and Merve Yücel from Istanbul Design Biennial team. Students will design objects that make people happy by using recyclable materials, beverage cans, bottles and caps. Coca-Cola undertakes the sponsorship of this workshop, which will take place at the Coca-Cola Building in Altunizade. SALON/Amsterdam, founded by Cathal McKee, Gijs Stork and Manon Schaap, is an center that generates inspiring dialogs and experience on art, design, and fashion. SALON/Amsterdam that specializes on design of different materials will be presenting the SALON/ workshops, under the sponsorship of Roman Ready to Wear. Dutch designers from different disciplines, Mattijs van Bergen, Pauline van Dongen, Vroonland, Desiree Hammen, Hyun Yeu, BCXSY, Antoine Peters, Borre Akkersdijk, Noman, Reinier Bosch will work on a large spectrum from fashion to product design, from embroidery to usage of experimental materials in different fields. The workshops will present a transdisciplinary experience. The workshops will take place at the Material Connexion Office in Yapı Endüstri Merkezi. The workshop, under the leadership of TAG Platform, an initiative that specializes on urban design and raising awareness in urban environments, will focus on the relationship of people to the city and to the design problems in the city. The workshop will determine the elements that make life in streets harder for people while analysing the relationship of disabled people to urban life. During the workshop, participants will determine the places where city and people are “incoherent” to one another and conceptualise them in a project and exhibit the analysis process. The team also plans to label “conflict” areas of city and make them visible. The representative of EIDD (Design For All Europe), Peter Frank Kercher will be participating in the workshop. During the workshop carried out by Burak Emre Altınordu from the Vestel Design Team, the participants will work on customization processes within the framework of a certain concept on a wide spectrum of products from household appliances to televisions. The participants will analyse characteristics of the pre-determined 20 cities and design customized products with the light of these characteristic features defined by them. This workshop will be carried out under the sponsorship of Vestel. Design for Basic Needs Workshop will be carried out by the Design and Innovation and Planning for Sustaianable Living Initiative under the leadership of Merve Titiz, Pınar Öncel and Tuna Özçuhadar. Approximately 25 students will participate to the workshop which will extend the traditional definition of sustainability and evaluate the concept from a different angle. During the workshop, basic needs of the contemporary consumer society will be defined and the role of design in providing for these needs will be discussed. This page will be used for daily postings to inform about the workshop and production process by each team. Teams will be posted some interesting and important moments-dialog and experience from their production journeys-routes in the field.